"Beginning Assembly Language for the SX Microcontroller" (.pdf). "Programming SX - 2nd Edition" by Günther Daubach (.pdf). SX 20/28/48/52 Processor/Tool/Documention Archive (HTTP). 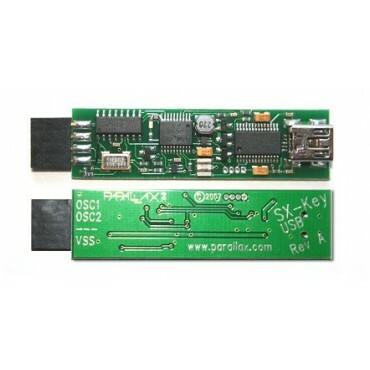 The SX-Key is a compact development tool for the SX line of microcontrollers from Parallax, supporting every chip that is commercially available. 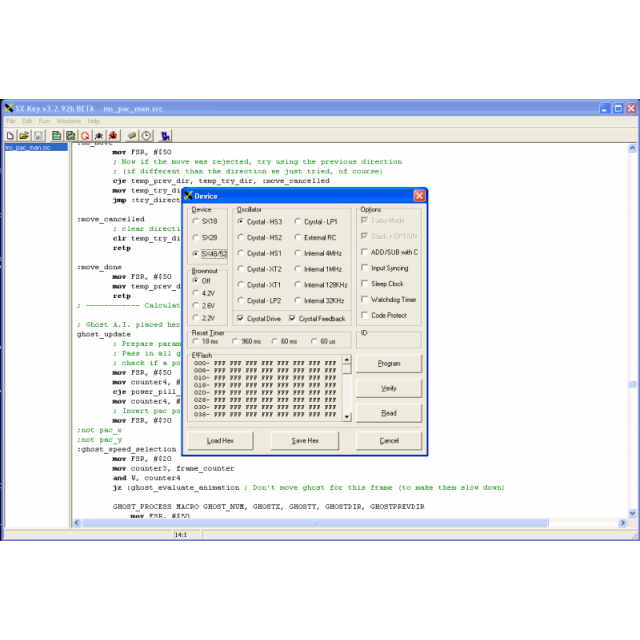 Supported by the SX-Key software, the USB SX-Key programming tool can program SX chips in-system and perform in-circuit source-level debugging. Also at the user's fingertips is an on-board programmable clock. The frequency output of this clock is adjusted from the software with a slider bar between 400 kHz and 100 MHz. The software operates on a Windows platform and is compatible with Win98/XP/2000 platforms. 100% compatible with the XGameStation Micro Edition's rear interface port. 100% compatible with XGameStation Pico Editions. Direct support for all SX models. In-System Programming and In-System Debugging Supported. USB interface for easy connection to PC. 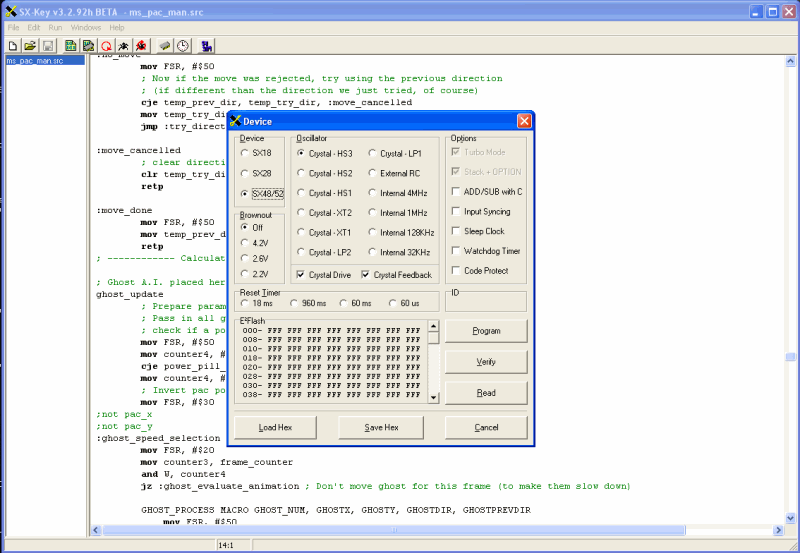 SX-Key IDE supports assembly language and SX/BASIC.